The City of Charles Sturt are inviting all children aged 3 – 17 years to try a new sport and get involved in their FREE School Holiday Sports Program. 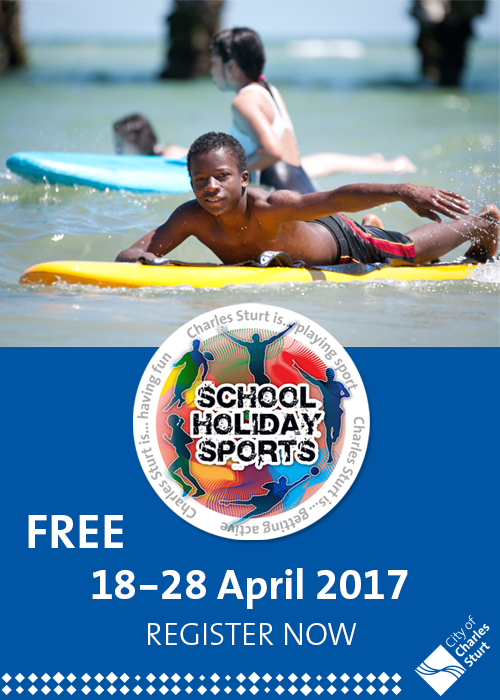 The program will be held during the April School Holidays from 18th – 28th of April 2017. Registrations close Monday 16th of April 2017 – be sure to book in early as there are limited numbers for each activity. BOOKINGS CAN BE MADE HERE. (Don’t forget to select “APRIL” when you get to the calendar).